In most sectors, the modern workplace is experiencing a trend toward more ongoing professional education. Along one's career path, advanced degrees, retraining, and certifications are now common expectations in almost any field. Many postsecondary professional schools are recognizing that they must develop innovative programs to address the changing environment that surrounds them as well as the new requirements their graduates currently face. 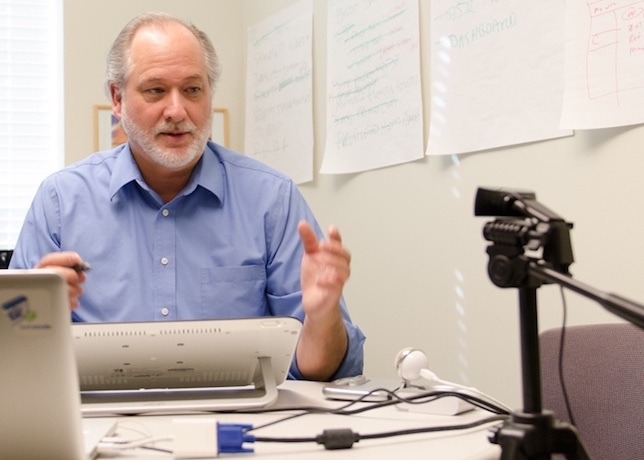 Here, CT talks with Dean and Professor of Information Thomas A. Finholt at the University of Michigan School of Information to find out what changes UMSI is anticipating, at the graduate and master's program levels in particular. Mary Grush: The University of Michigan School of Information has had a well-established graduate degree program for decades. What has worked for UMSI so far? Do you see a pressing need to change postgraduate professional education offerings now? Thomas A. Finholt: What has worked for UMSI so far is what I would describe as extremely conventional and traditional residential master's education. Students apply to go to school here; they get accepted and move to Ann Arbor for two years; they complete a 48 credit hour program; and finally upon graduation they seek employment and go out to make the world a better place. That model has been in place for us since the mid-1940s — roughly 70 years. During that time of course there have been some tweaks here and there. The school has been rechartered along the way, most significantly in the mid-'90s. And while the content of the degree program has changed, the manner of curriculum delivery has simply not changed very much. One argument, by some, in favor of this absence of change might be "If it ain't broke, don't fix it". But in answer to the second part of your question, as to whether I think there is a pressing need to change our postgraduate professional education offerings now, I would argue that there is a pressing need for change. Grush: What are some of the factors that might influence change in UMSI's traditional master's program? Finholt: First among the forces that are driving potential transformation is the possibility to offer online instruction, particularly with the emergence of MOOCs. Secondly, there are big changes in the nature of demand for education across a student's lifespan. Historically we've thought of education as something people do at the beginning of their lives (and later go out to execute their careers based on what they've learned), but now we are starting to see a greater proportion of them seeking further education and training, throughout the entire arc of their careers as adult professionals. This growing need is less and less consistent with the bundled, monolithic model of a two-year residential degree for postgraduate professional education. The third thing that's creating change is a demand for our programs coming from outside of our borders. For much of UMSI's history students interested in taking our curriculum have been largely from the U.S. and sometimes from Canada. Now, we are getting tremendous demand from other places in the world — areas where until recent times, people had possibly never even heard of us: China, South Asia, and increasingly Africa and South America. Many of those potential students are going to lack the means to relocate to the U.S. for two years to pursue a master's education. To address this demand, we need to make changes, probably both in the composition and in the delivery of the degree. So, among other factors currently influencing change, those are the predominate ones. I'll sum it up this way: The tried-and-true residential model has worked so far, but a number of factors are forcing transformation: emerging technologies, new expectations about when learning will occur in a student's lifespan, and the introduction of a whole new population of students that had never been imagined before. Finholt: The biggest transformation for us to date has been our entry into the MOOC space. That movement began with a few small trials, but it's now rapidly expanding and may include, ultimately, full degree offerings. I would describe our period of experimentation with MOOCs to have started in 2013, gaining especially significant momentum in the past two years. Over the next couple of years, our efforts will expand even more dramatically, if we elect to offer fully online degrees. 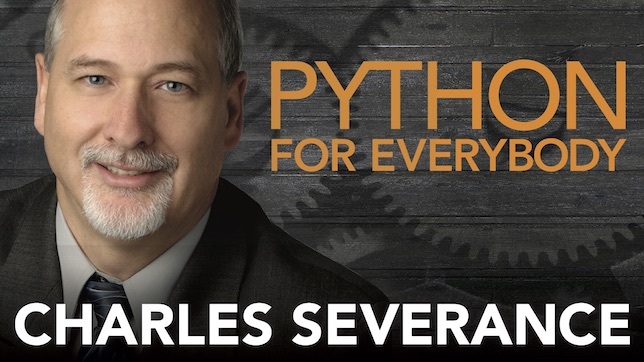 As a measure of the magnitude of impact of MOOCs so far, one of our MOOC specializations in the Python programming language is among the most popular offerings on Coursera — I believe that it has reached more than a million learners at this point. A significant fraction of those learners have opted to sit for an exam to get a certificate in Python programming. Also, we introduced an Applied Data Science specialization about a year ago. That one, though not receiving enrollments at quite the same level as the Python specialization, is generating tens of thousands of learners per quarter. These two examples both illustrate how we can serve dramatically more students online than we could ever teach locally here in Ann Arbor. That's one reason so much of our experimentation has been focused on MOOC platforms. Finholt: We are absolutely expanding our use of MOOCs. What we are looking at, going forward, are two kinds of intensification of our MOOC efforts. One is, as announced at the March 6th Coursera meeting, that we have joined in a partnership with Coursera and the University of Michigan's Office of Academic Innovation to design and get approved, a brand-new online master's degree in Applied Data Science. Our aspiration is to start offering that with the beginning of the 2019 academic year. We have also been developing, in parallel, what I would describe as a master's track credential in User Experience Research and Design. That one is intermediate between what Coursera would call a specialization and what we at UMSI might call a full-on master's degree. So, those two efforts represent our main focus in the expansion of our online — predominantly MOOC — activity, and we are now talking seriously about instructor effort in the online programs as being equivalent to instructor effort in the residential degree programs. This means regarding potentially thousands of students who would complete the online degree as fully vested members of our student body. And upon graduation, they would be fully vested members of the UMSI and broader University of Michigan alumni community. To understand what makes these two efforts stand out from our past, we can just look back at our 70-year history of offering primarily a two-year residential degree. Branching out into these online offerings is a tremendous innovation for us. Grush: What other particularly promising technologies do you see on the horizon for off-campus professional education? 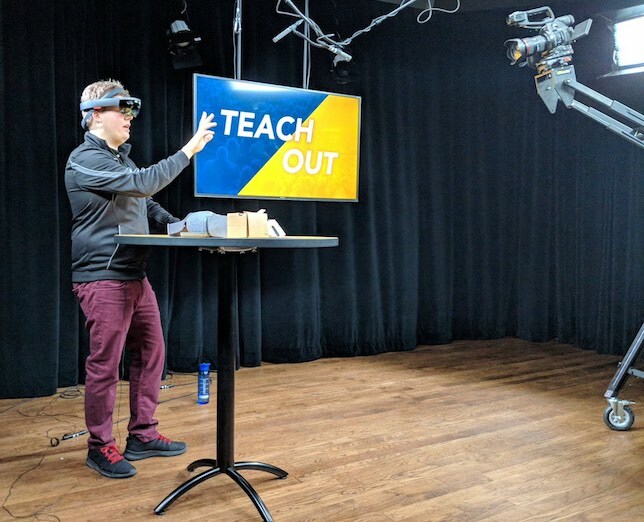 Finholt: Though they are already somewhat "above" the horizon, I would identify augmented and mixed reality technologies as a focal interest for us in the context of online professional education. The potential I see for these technologies is that they create a distributed path for experiential learning. With augmented or mixed reality technologies the student could, in her home, reconstruct the professor's laboratory space and start assembling components and designing objects in that space that she could share with a world-wide audience of her fellow students and her instructor — whereas previously to achieve that sharing the students would have to be physically co-located with the professor in the professor's lab. Grush: Would the University of Michigan be able to integrate augmented or mixed reality into online programs easily at this point? And would this be focused, or be more applicable in particular disciplines? Finholt: While I see those technologies as very exciting potential additions, right now their use is somewhat limited by the high cost of the equipment that we would want to choose. A HoloLens from Microsoft, for example, is now going to cost about $4K. For us, that would need to drop about two orders of magnitude before it would be anywhere near practical for off-campus student use. Also, the form factor of the HoloLens is still too cumbersome for extensive use — but as the technology evolves, you can imagine it becoming light-weight enough to be built into conventional eyeglasses. It may be worth the wait for this technology to become much more ubiquitous, natural to use, and cost-effective. 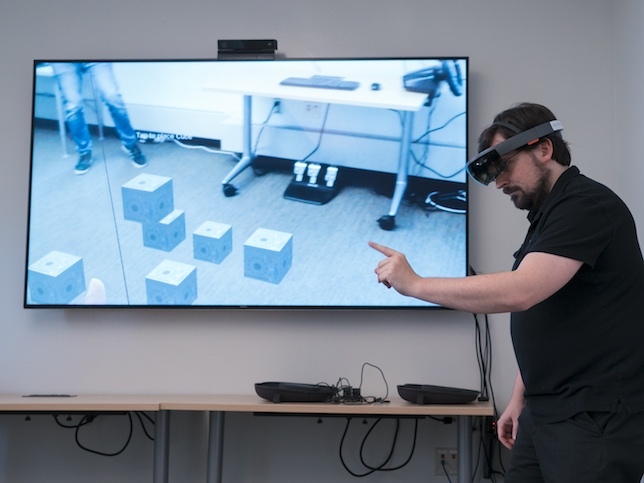 Meanwhile, we have been experimenting with these technologies at the University of Michigan to examine the first-order infrastructure questions and determine whether we could build a toolkit for instructors to use when they ultimately design lessons that make use of augmented and mixed reality. 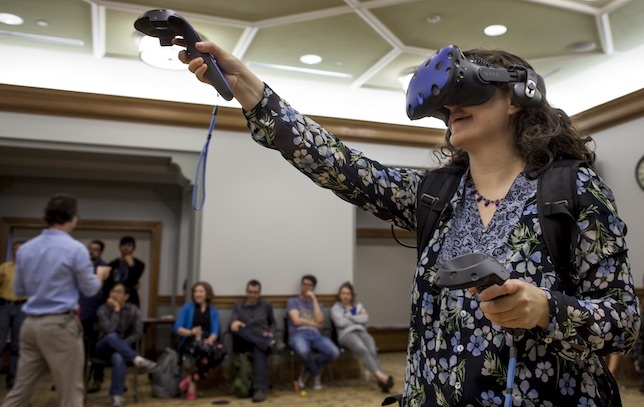 We are interested in these technologies across the spectrum of professional education at the University of Michigan, with perhaps a special emphasis in the health sciences at this point in time. Grush: Is there a possibility to start at a smaller scale with augmented and mixed reality, or maybe use a simpler application of virtual reality? Finholt: We are at a point now where we can take baby steps into augmented and mixed reality, but as I mentioned, I think there has to be significant evolution of the supporting technology before it becomes something that can be widely disseminated. Virtual reality is probably in a better position to move forward immediately, because the associated devices are already being produced at scale, and for a lower cost — Google Cardboard, just as one example. Grush: As you create your online professional education programs, are there any online technology, collaboration, or digital content resources you develop with the idea of leveraging and sharing them with the residential campus programs? Finholt: Yes, to a modest extent at this time. We do put the MOOC resources to use on behalf of the residential students, not as a primary means of instruction, but as a way of reinforcing the residential instruction. These resources may be helpful to a residential student who wants to get up to speed in a particular area, in Python coding, for example, or maybe in data structures for Web design. MOOCs are also an excellent way to offer a compressed refresher course for a returning student or an intensive introduction for a non-traditional student who has been in the workforce and may already be an expert programmer but just does not yet have experience coding in a particular language. Perhaps a more interesting challenge in terms of sharing between the online and the residential programs is to think about ways our online program resources could help knit together the remote, online students with the residential population — especially when there are occasions of parallel instruction and convening everyone together would make sense and be beneficial to both groups. But mechanisms for accomplishing that are not well-perfected at this point. 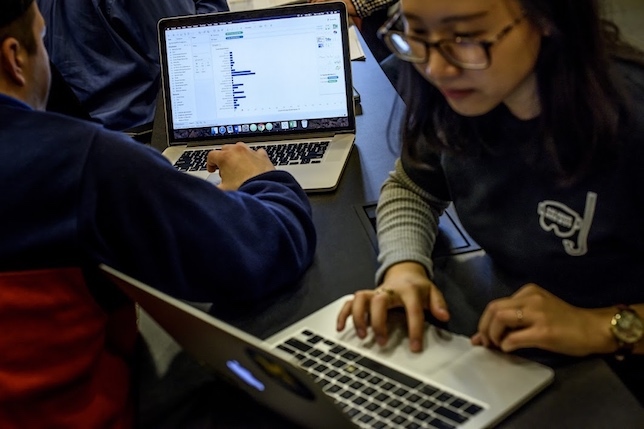 Throughout the University of Michigan, there is quite a bit of productive but mostly informal and very small-scale activity in this space, supported by an array of technologies like Skype, Google Hangouts, Slack, or BlueJeans. So you can accomplish some of these things, particularly in small groups, to attain a reasonable approximation of success, but the real challenge comes when you try to interoperate at scale within the context of developing your online and residential programs. So, I don't think we've yet solved the problem of how to interoperate between the online and residential programs. It's still a challenge for the future. But I think we have, at this point, at least been successful in mobilizing online resources to be a source of support for a certain segment of the residential student population. Grush: At UMSI, are you supporting increasing interaction among diverse student populations, both in the residential and the online groups? Are there benefits students can realize simply from better access to each other, whether that's face-to-face or electronic? Finholt: Yes, certainly. There is a specific benefit that comes out of the composition of our student body. Any entering cohort of UMSI represents potentially more than a hundred different undergraduate disciplinary backgrounds, and a corresponding variety of professional backgrounds. You may have within a student group someone who is a practicing lawyer, or a nurse practitioner, or someone who taught elementary school, and someone who coded apps for mobile devices… Among the international students there might be people who speak three languages… We find all this along with many differences in age, culture, and national origin. There is no question that the diversity of experience is a distinguishing value of the school and something that students confirm is important to them and want us to support. Among other benefits, that kind of diversity allows us to present an extremely realistic simulation of what students' professional careers are going to be like, in terms of the diversity of people they will ultimately interact with, globally. Grush: As you look at graduate professional schools in general, how would you characterize the main changes that professional schools are, or should be, making now? The process of obtaining postgraduate credentials is becoming something that one works on over the entire span of one's career… Working professionals will have an array of punctuated intervals, if you will — periods of time when they work intensively to update their credentials. Finholt: I think there has been and is increasing pressure for postgraduate certifications and credentials. People now often describe the bachelor's degree as a kind of a minimum credential in the modern workplace. Most students understand that they will need to be working towards some sort of graduate degree or additional credentials after they graduate. This is a trend that's been growing for years, and I don't see that need abating. As I mentioned earlier in the context of UMSI, what's important to recognize now is that the process of obtaining postgraduate credentials is becoming something that one works on over the entire span of one's career. In the future, I think we will see that typically, working professionals will have an array of punctuated intervals, if you will — periods of time when they work intensively to update their credentials, whether in residential, online, or hybrid programs. I think that's the broad trajectory of change for professional education and an environment professional schools will all need to be ready for. Grush: Will the professional schools use technology solutions to address this changing environment? Finholt: To answer this as concisely as possible, yes, there are many, growing opportunities to use technology solutions to address this change, and they will use them — from simple automatic grading programs and CAI, to forms of peer collaboration, to augmented and mixed reality (as we talked about for UMSI), to new applications of AI, data analytics, machine learning, and natural language instruction. I think you know, the list goes on and on. There's a tremendous potential for online course, program, and degree delivery to allow the same unit of labor to reach a much broader audience of students and negotiate new and changing patterns of postgraduate enrollment and course offerings. But there still needs to be more technological innovation before we fully realize that potential. There's lots of work ahead.